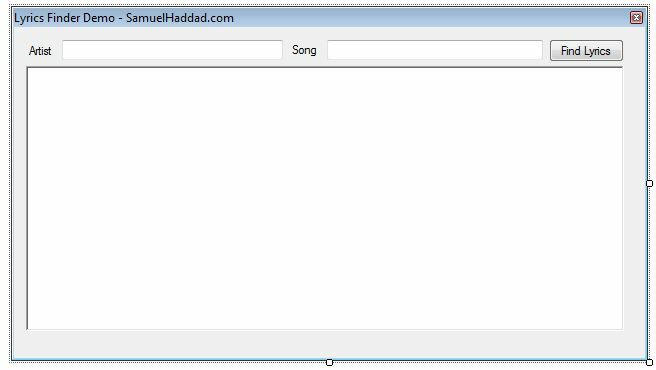 At this point you are probably thinking to yourself the same thing I did “Great, but where do I start?” So today I am writing a step by step tutorial on how to use Lyric wiki in your .NET program. Open visual studio and setup your form to look similar to mine. 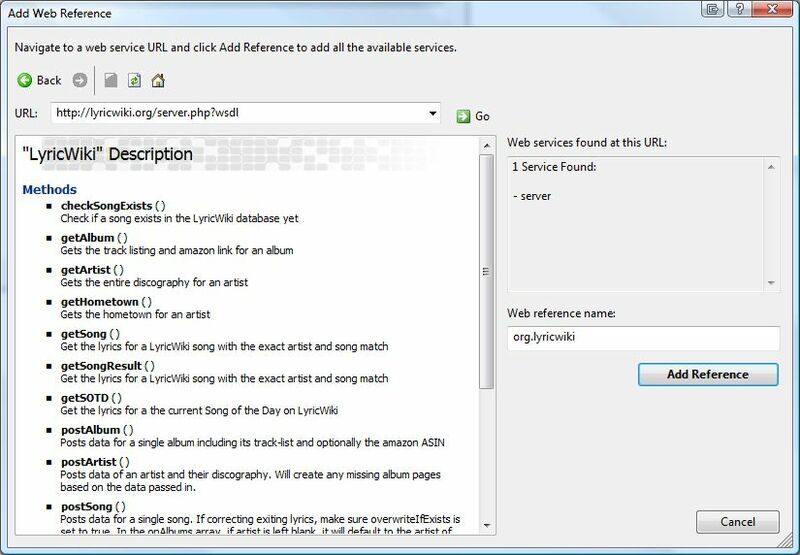 Because LyricWiki offers a web service, you will want to add it to your program as a web reference. Right click on your solution and select add a web reference, or in .net 3.5 add a service reference -> then go to advance and add a web reference. The service’s URL is http://lyricwiki.org/server.php?wsdl you will want to add it like below if you press go you should see the available methods. Double click on your button on the form and let’s right some code to handle the lookup.